If you've spent any time around Big Sky, Montana, or have read about it in the news, you know the resort town generates a lot of wastewater. How much? About 150 million gallons every year -- enough to fill Bobcat Stadium in Bozeman not just once, but twice every year. That's why we're celebrating a big milestone in our work to protect Montana's Gallatin River. Last week, the more than 35 participants in the Big Sky Sustainable Water Solutions Forum agreed for the first time ever: We'll make snow with Big Sky's treated wastewater. 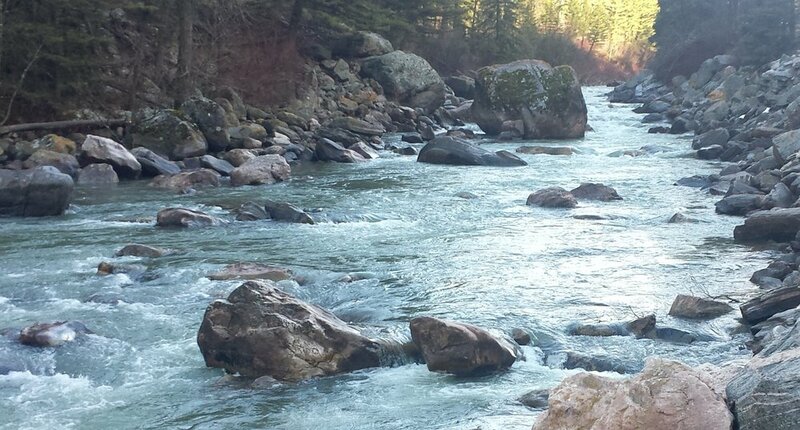 This agreement means that more water will stay in the headwaters of the Gallatin River. And making snow from treated wastewater in the wintertime means far less pressure on the resort community's wastewater ponds, one of which failed last year and spilled the equivalent of 58 Olympic-sized swimming pools of wastewater into the Gallatin. Four months ago, there was no strong agreement on what would work for the wide range of people and interests that make up the Big Sky community. Today, that's changed. Forum participants came together on a united path forward that meets all the needs of the community and protects the Gallatin. Last year's spill was our wake-up call. The status quo at Big Sky – counting on these storage ponds as more and more people ski here, bike and hike here, and move here – simply isn’t acceptable anymore. Yes, they use water from these ponds to water the golf courses in summer, but there aren't enough golf courses at Big Sky to take care of that much water. We are working to make the Gallatin 200 percent cleaner by 2027. That’s why GYC is part of the Forum, which brings together business owners, anglers, rafters, and farmers and ranchers to figure out a better solution than Big Sky’s risky holding ponds. If you care about fishing the Gallatin, rafting House Rock, irrigating your fields with Gallatin water, or just enjoying cold, clean water, join us. Watch the Forum website for the date of the next meeting in January. Older PostTell Jackson: Protect bears!